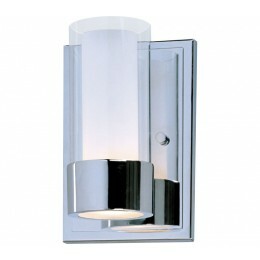 The Silo collection makes artful use of thin-profile rectangular tubing with a mirror-like Polished Chrome finish for a clean, contemporary look.A subtle Frost on the underside of the two cylindrical glass shades adds softness to the sleek lines, while the bright Xenon lamps are cleverly concealed in the cast metal ring allowing ample light to cast both upwards and downwards without glare. 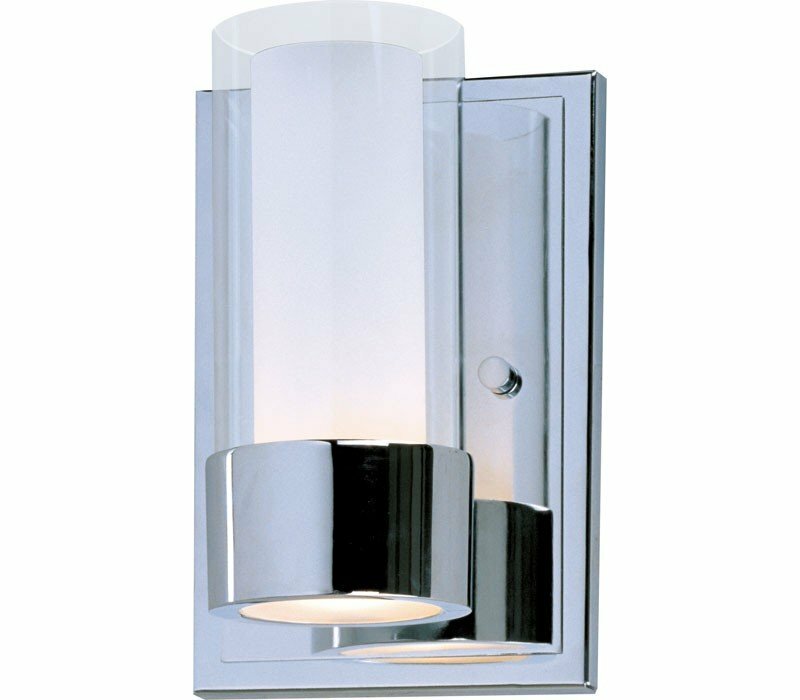 The Maxim 23071CLFTPC Silo collection Sconce Wall Lighting in Polished Chrome uses Halogen light output and brings Contemporary style. The total wattage is 75 and the voltage is 120 volts. The Maxim Lighting 23071CLFTPC requires 1 bulb (included). Additional Information: Shade-Clear Exterior Glass with Frosted Interior Glass.